Loretta Ivette Treviño currently serves as Co-Facilitator Hispanic Technology Incubator and the Director of Events at the Illinois Hispanic Chamber of Commerce (IHCC). 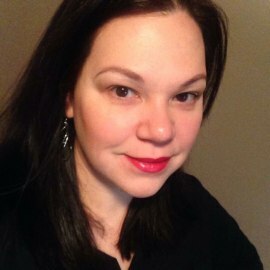 Ivette has a passion for providing a platform for IHCC partners, members and clients to come together to connect, collaborate and create. The Hispanic Technology Incubator program provides access to mentors and tailored content designed specifically around the individual businesses admitted to the incubator. It will also contribute to IHCC’s ongoing partnership with 1871, which supports Hispanic entrepreneurs, technology professionals, and students with educational programming, networking opportunities, and other resources. Ivette has extensive experience in project management, project accounting and event planning. Ivette currently manages and produces several IHCC events which includes the Make the Connection! IHCC Business Conference, one of the premier Hispanic business events in the Midwest. Ivette is a Chicago native who grew up in Brighton Park playing basketball. She received her Bachelor of Science in Business Management from National-Louis University. Ivette currently resides in Chicago with her husband and children.